Do you or someone you know like to have, on your desk or nightstand, a little book of reflections, poetry, or other quick notes of inspiration? The second list is a mix of classic (Yates) and quicky (Ben Franklin) poetry and spiritual themes. Gift these to yourself or a friend. 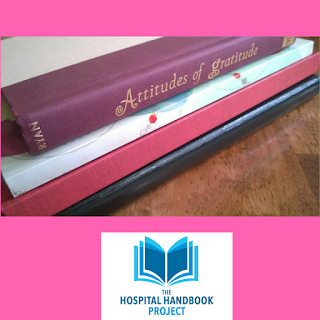 If you follow the Amazon links and buy within a couple hours, the Hospital Handbook Project receives a few pennies at no extra cost to you. the book, Tao Te Ching or Book of the Way, an acclaimed classic; brief stanzas of poetry by Lao-Tzu about balance, perspective, the spirit of generosity. A very good translation from Stephen Mitchell. If you love the outdoors and nature: Meditations on John Muir or Mary Oliver. Clearing the physical clutter. For clearing out the physical space to help make room in your internal (mental, emotional, spiritual) space, I recommend the book by Marie Kondo, The Life-ChangingMagic of Tidying Up. Or, maybe you are interested in her follow-up book, Spark Joy. Clearing the internal clutter: journaling. Journaling is a useful way to process experiences and find clarity. It has proven health benefits. For more about the research and health benefits of journaling: Opening Up by Writing It Down, 3rd edition: how expressive writing improves health and eases emotional pain by James Pennebaker and Joshua Smyth. For related book that walks you through the practical exercises of this type of journaling for health: Expressive Writing: Words that Heal (2014) by James Pennebaker and John Evans. Any time you spend in quiet self-reflection to listen to your heart that you may hear your calling. If you follow our Amazon affiliate links and purchase within a few hours of clicking on the link, a few pennies of your purchase will go toward the Hospital Practice Handbook Project. To contribute directly to our work at the Project, go the "support the project" page on our website. You can support this community resource today by contributing $5 or $25 via the website. Thank you. Do you want to follow our work? Just subscribe to this blog, like and follow our new Facebook page, and join the newsletter email list on the website.